The kids have been down with Snapchat since its inception in late 2011, but it looks like it's time for the rest of us to get with the program as these billboards for the social photo messaging app have taken to the skies in L.A., San Francisco and New York City in recent months. 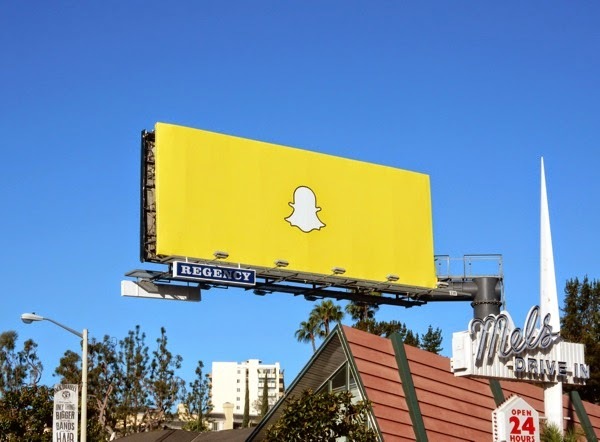 These bright yellow outdoor ads certainly stand out with their simple design and recognisable 'Ghostface Chillah' brand logo, although something this simple is usually a first teaser in a broader ad campaign. What's the punchline? 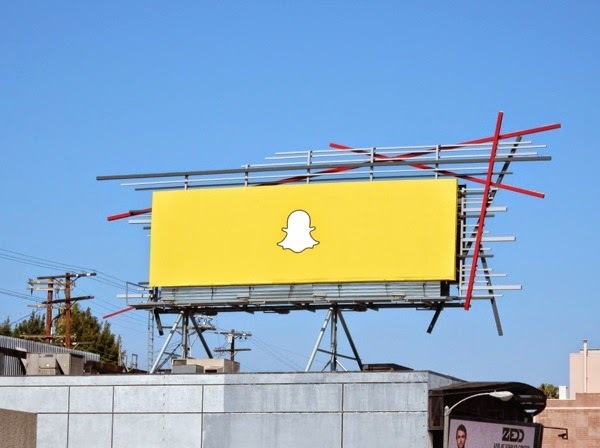 With Chinese internet company Alibaba investing around $200 million in the American company earlier this year, Snapchat obviously wants to be taken seriously and raise its profile beyond your smartphone. 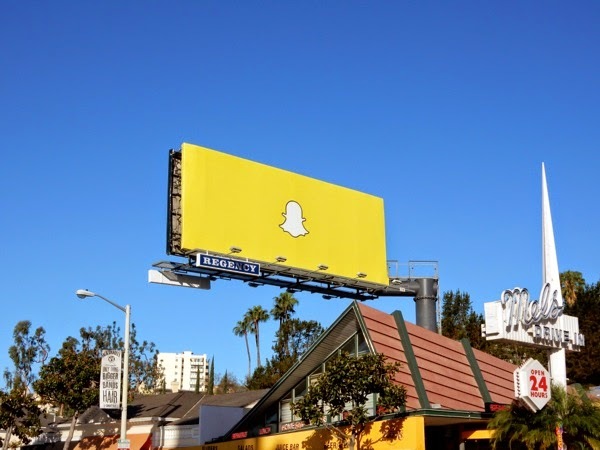 The vibrant and enigmatic Snapchat billboard was first snapped along along West Hollywood's Sunset Strip on March 24, whilst the latest billboard was spied further west along Sunset Boulevard on May 12, 2015. We're sure with this level of interest and investment in its future, the disappearing photo app won't be disappearing anytime soon. 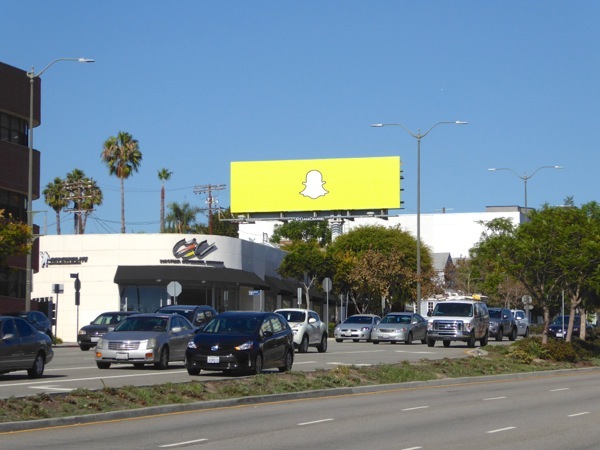 UPDATED: Snapchat's ghost billboard has been popping up again in L.A. just in time for the spooky Halloween season. 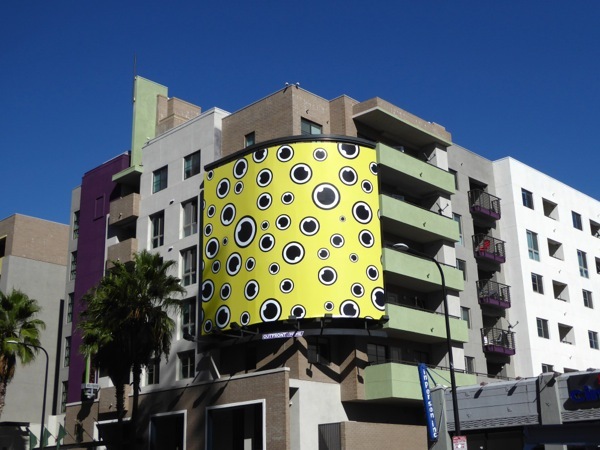 This vibrant billboard was snapped along the busy Santa Monica Boulevard near Beverly Glen Boulevard on October 9, 2015. 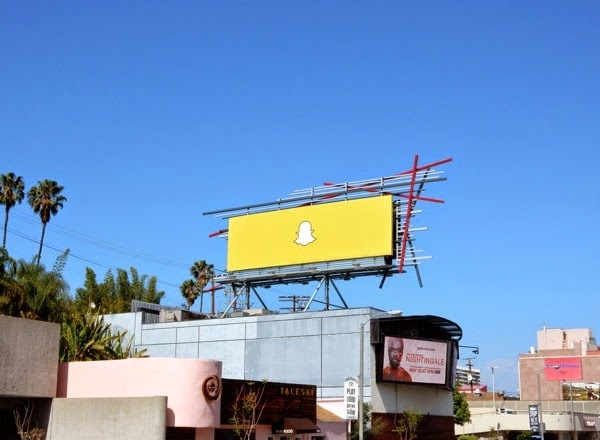 UPDATED: Here's another Snapchat billboard that was spied at Hollywood & Vine on September 16, 2016. 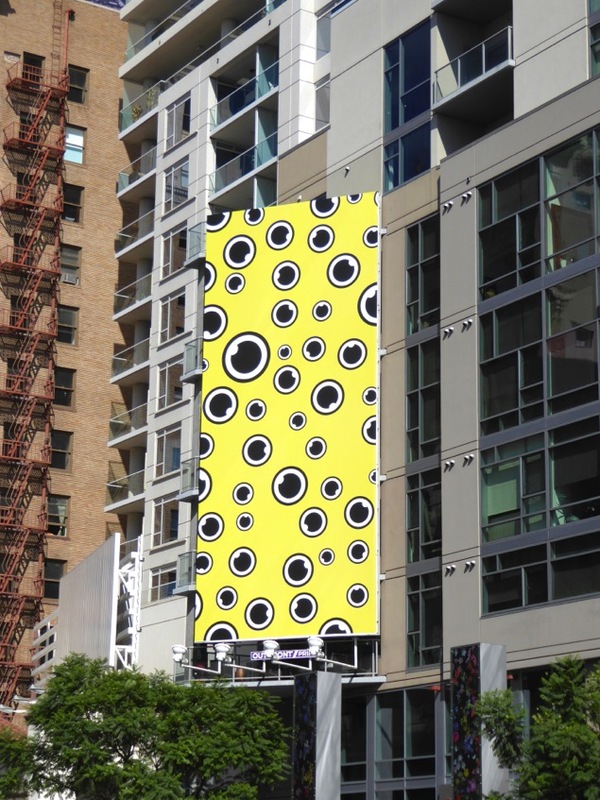 UPDATED: And that yellow billboard was followed up with this eyeballs ad creative, snapped in the same Vine Street location on October 11, 2016. Plus a squarer version was also spied above the equally well trafficked Hollywood & Highland around the same time.